So here's our take on things - Liv Tyler is a beauty that has been undervalued in Hollywood. Perhaps it's her choosing, who knows, but truly she is a woman who is quite unforgettable. She stands tall at 5'10. She's no shrinking violet, yet carries herself as a ballerina would, delicately and poised. And on this month's cover of Red Magazine, she is proving more than ever that she is one of the most striking women ever to be photographed. Seriously, those eyes, people - epic. 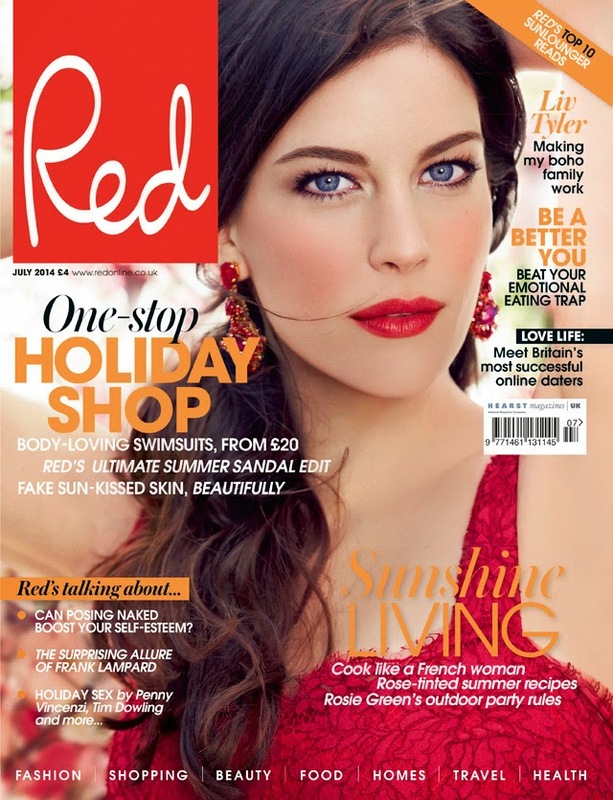 There's actually a lot to be learned about Liv Tyler in this issue of Red. For example, her friends' list reads like a who's who for women in Hollywood and beyond. Stella McCartney and Gwyneth Paltrow are names she throws around easily as besties, just as an example. Oh, and here's something that will make you love Liv more than you already do... she admits she's more or less always on a diet. Hallelujah for someone finally telling the truth! The full interview appears in the July 2014 issue of Red, on sale 30th May.